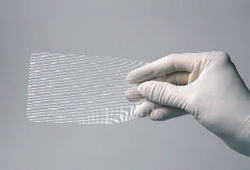 We manufacture medical devices that are a cut above the rest. We offer complete range of Absorbable and Non-absorbable, Braided and Monofilament Sutures catering to every speciality, including cardiovascular and plastic surgery. 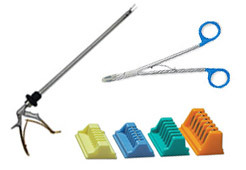 We also offer other medical device comprising different varieties of surgical mesh, clips and appliers, surgical staplers , surgical kits etc. We manufacture premium quality non absorbable sutures that is highly regarded by surgeons across all surgical requirements. 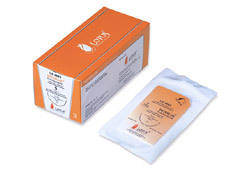 We offer a comprehensive range of Non Absorbable Sutures. Many surgeons believe that nonabsorbable suture material is preferable, because it is easier to tie, it is unlikely to break prematurely and it has negligible inflammatory response. We offer a broad range of Surgical Mesh that provides medical textiles for the manufacture of hernia mesh, surgical mesh and other medical device. We offer various types of mesh and felt designs including classic designs to more advanced designs used in the manufacture of various devices. We maintain a good stock of our items,that saves our customers from the hassle of long wait. 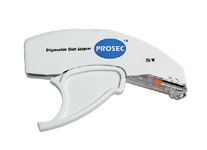 We offer surgical skin staplers that we specially design and develop for special surgical requirements. This premium range of skin stapler accurately designed, is simple to use, give uniform tension and reduces tissue compression and trauma. We offer a range of Hemosec Clip Applier which is a reusable instrument designed to deliver and close metallic ligating clips. This instrument is used with Hemosec Clips which are produced from titanium. The clips are designed for the ligation of tubular structures where a non absorbable ligating device is required. 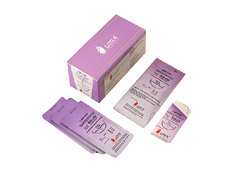 Lotus surgical kits are ready to use combinations of sutures ( and meshes where required) to be utilized for specific surgical procedures. Each kit is for single use. 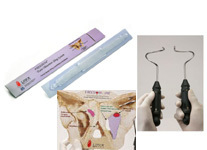 Our comprehensive range of Surgical Kit comprises hernia, C- section and abdominal kits. This is a complete economical package that carries multiple devices required for immediate use. These are a complete line of stock kits for various deliveries. Seek instant relief from microbes by using prolysate. Prolysate is a combination of chlorhexidine and ethanol. It provides instant relief and protection against microorganisms. It works by disrupting the cell membrane of the microbe and thereby killing the organism. We at Lotus have formulated two types of antiseptic prolysate.